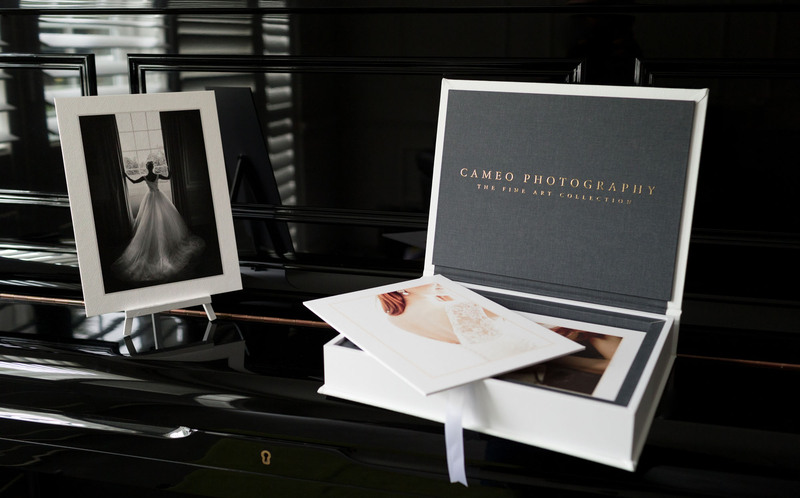 Cameo Photography wanted to launch an ultra high end, premium product to appeal to their most exclusive clients. 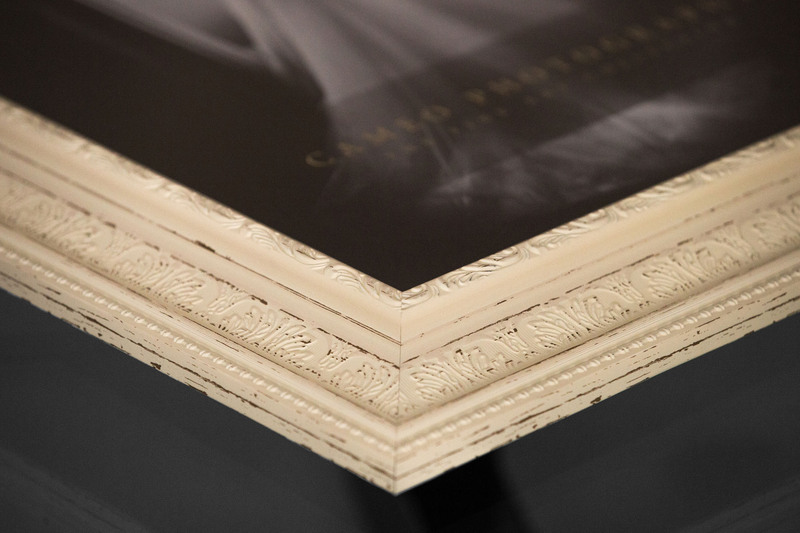 The concept is to produce a small batch of prints on German Bamboo art paper, within their own presentation box, alongside a stunning framed renaissance style wall portrait. 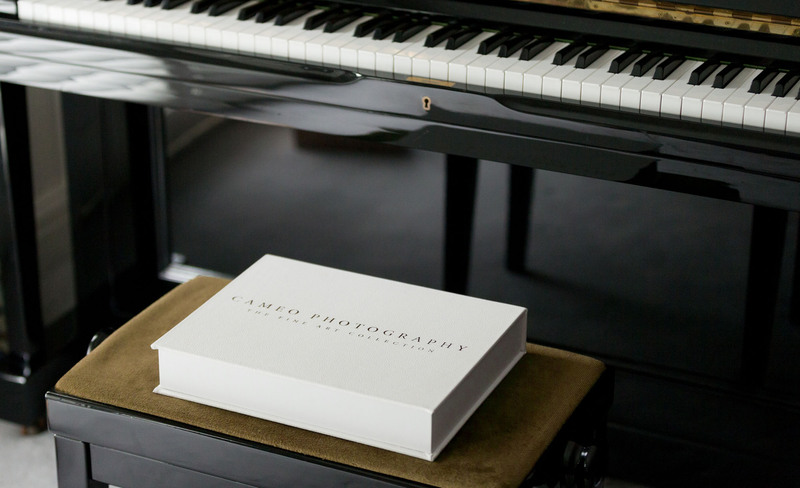 I developed the concept for the presentation box with Cameo, working in a combination of gold foiling on graphite linen to create a striking interior, while keeping the outside white allowing the focus to fall on the gold lettering alone. 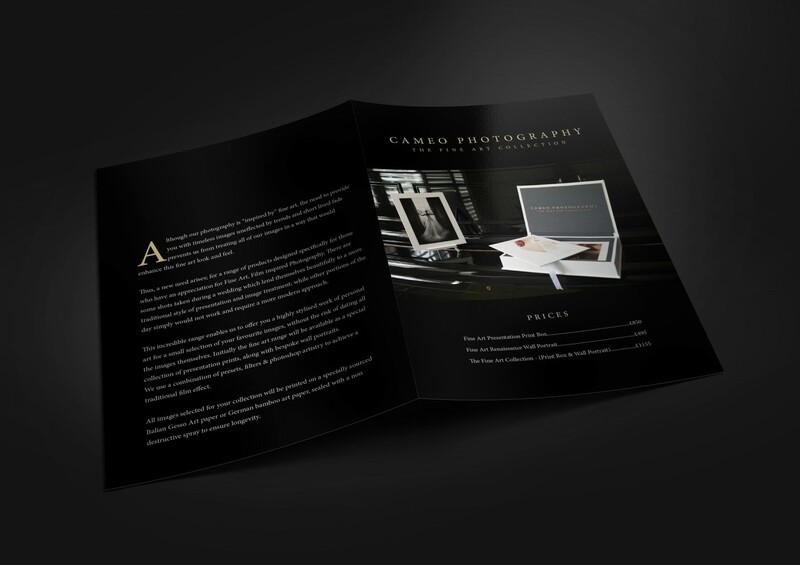 Once a prototype was created, a series of promotional shots were produced by Cameo and provided to me for inclusion in marketing material. 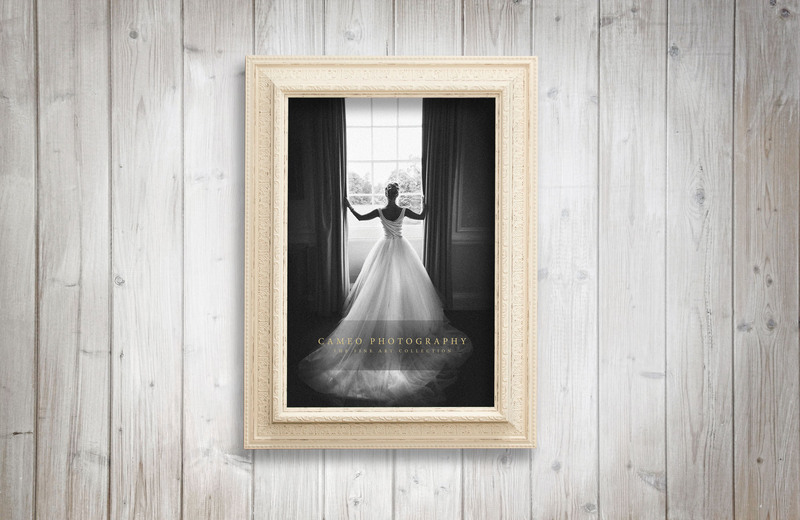 The importance of professional photography in any marketing material cannot be overstated, particularly for products. 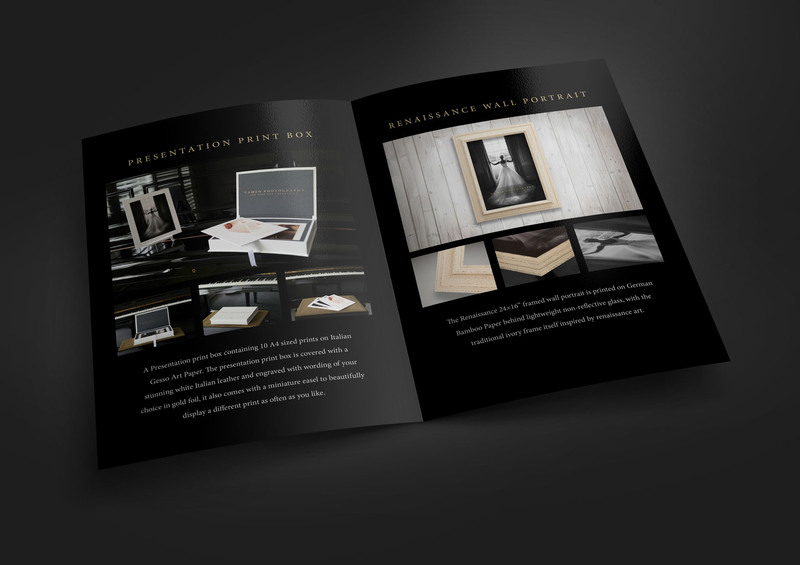 I designed a special price guide for the collection, printed on an Italian art paper with white text on black to really dramatise the product and tie in with the promotional photography. 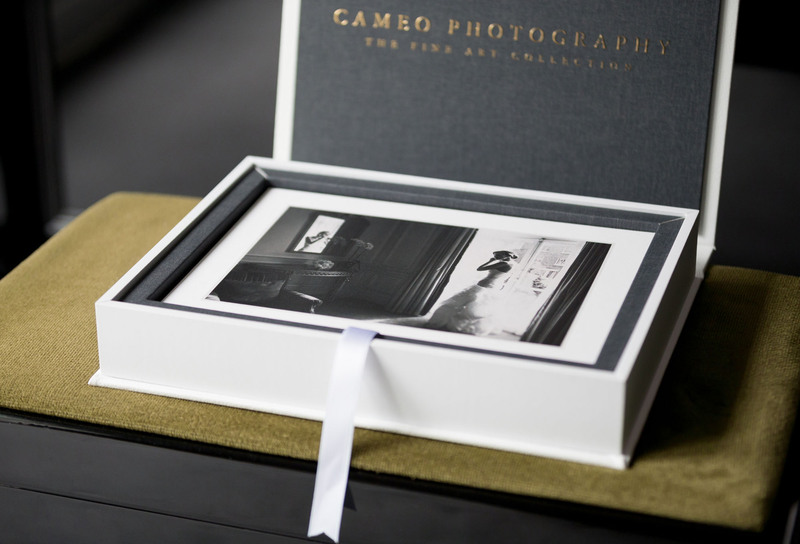 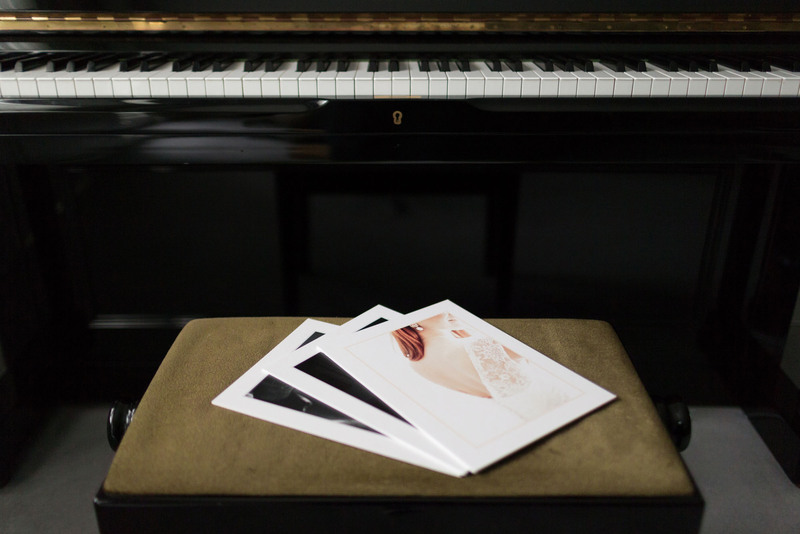 The price guide greatly helped to elevate the perceived value of the collection and enabled Cameo Photography to drive sales which surpassed initial goals and expectations.